“Voter suppression is a critical reproductive justice issue. 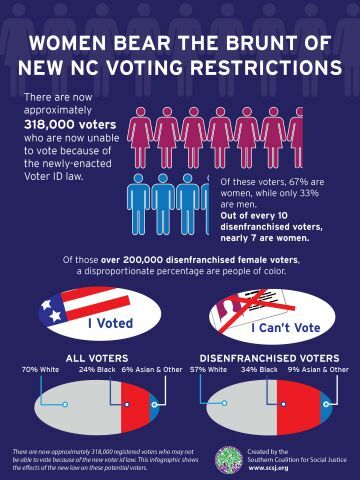 Because of the new voter suppression laws, hundreds of thousands of women in North Carolina could be denied the right to express themselves on issues that directly impact their lives and their futures; these issues include the right to decide whether, when and with whom to have children,” said Suzanne Buckley, Executive Director of NARAL Pro-Choice North Carolina Foundation. McCrory is beginning to show his true colors.